I’m always thrilled to find another exceptional rare Dharma book for free online. The latest treasure for me came as I was looking to answer a question I had about what ethical advice we might find for our secular lives within Asian monastic traditions. Buddhist Monasticism in East Asia - Places of Practice ; Edited by James A. Benn, Lori Meeks, James Robson is an anthology of scholarly essays loosely tied together around the theme of monasteries and monastic life in mediaeval Japan. The book would be invaluable for the opening summary alone - Neither Too Far, Nor Too Near: The Historical and Cultural Contexts of Buddhist Monasteries in Medieval China and Japan, Robson reviews the various critical perspectives on Japanese Buddhism, especially the distinction between the New Kamakura Buddhism and the Esoteric-Exoteric Establishment theories. He covers the developments of ideas of monasticism in Europe and Asia as well. All of the titles are equally high quality from some of the finest Buddhologists around. For those of us in the Tendai line, Paul Groner is one of our clearest and most important English voices. Not all of the essays are equally captivating (for me at least), however, they all provided rare contributions tor my understanding of Japanese Buddhism. I recently re-read Suzuki’s 1934 classic on Zen monasticism, and the contrast between it, and its many romanticized and narrow notions of monastic life and this anthology is refreshing. This book brings a balance and realism to the forms and functions of Japanese monastic life. I could not track down the exact download link, but I can send you a copy (PDF, 1.0 MB). This is the period when we celebrate Vesak, the birth of our lineage ancestor, Shakyamuni, the historical Buddha. At this time each year, dharma practitioners all over the world recall his life and his teaching. How could we imagine our world without the arrival and presence of this person? Consider how many nations have built their identity on his life and teaching, how many people have set their live-course from his inspiration. No less than any other tradition, nation or Dharma practitioner, we in the Tendai family offer great bows and gassho for his life! 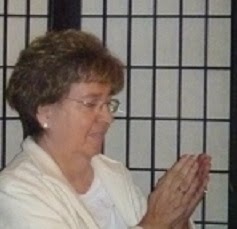 We mark the passing of one of our beloved sangha members. Kojun Janet Sciba passed away April 23rd, after a year and a half of treatments for a brain tumour. Kojun was a rare person, dedicated to the Dharma, especially her loving Kwan Yin. I had the honour of co-leading the memorial on May 9 and it was very moving to be part of the remembrances of her family. We also mark the passing of Keisho V K Leary, the founder and abbot of the California Tendai Monastery in Cobb, California. I had the pleasure of meeting Keisho and completed several gyo-trainings with him. He was dedicated to promoting the esoteric practices of our tradition and created a goma-dan ( building for performing the goma or Fire Ceremony) on the precincts of the monastery. A huge loss to Tendai and Western dharma. There is a lovely memorial on the Tendai websites Shingi posting.